According to reports, the Chinese Authorities have forbidden Uyghur Muslims who are returning from summer vacations from fasting in the month of Ramadan and taking part in religious activities. ”Before the fast began, they were extracting guarantees from parents, promising that their children won’t fast in Ramadan,” Sweden-based spokesman for the exiled World Uyghur Congress (WUC), Dilxat Raxit said in a radio interview. The restrictions state that Muslim students under 18 years of age are banned from fasting and taking part in the religious activities during the month of Ramadan. Students failing to abide by the orders are being reported to and punished by the Chinese Authorities. 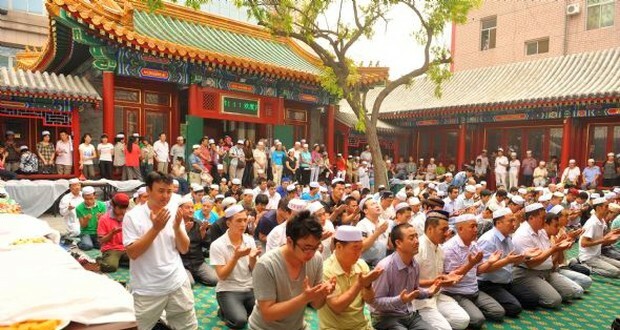 For the youngest of the millions of Chinese Muslims, the fasting and religious observances of Ramadan has been officially forbidden by the Chinese government.